When energized, the patented split-sheath expands into contact with surrounding bore for maximum heat transfer, fast response. When de-energized, the split-sheath contracts for easy, slide-out removal. Sunrods are guaranteed never to seize in the bore. Uninterrupted hot zone and fully heated tip provides unmatched heat distribution without cold spots. (See photo below). 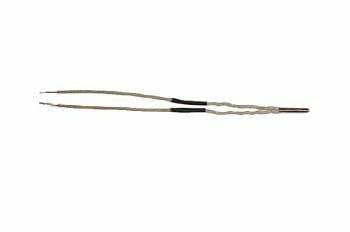 Slender continuous leads simplify wire management. High flexibility allows free motion when heating “floating” components. 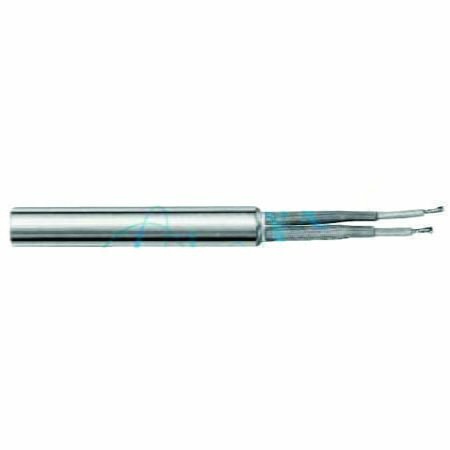 The result is a miniature cartridge heater offering longer life, uniform temperatures, and easy installation in the smallest devices.